A trip to the gas station may be in order tonight. Maybe tomorrow night as well. 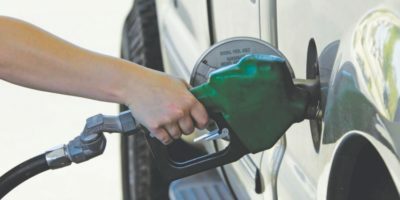 Oil industry analyst Dan McTeague at GasBuddy.com says we’ll see a three-cents-per-litre hike in the price Friday due to a tweak in the wholesale price of gasoline. And another four-cents-per-litre at the weekend as a result of the switch to the summer grade of gasoline. Summer-blend fuels use different oxygenates, or fuel additives. These blends…burn cleaner. Summer-grade fuel has a different Reid Vapor Pressure (RVP) than winter-grade fuel, which contributes to its being (marginally) more eco-friendly. RVP is the vapor pressure of gasoline measured at 100 degrees Fahrenheit. Fuels with higher RVP evaporate more easily than those with lower RVP. Regulators worry about this evaporation because it contributes to ozone formation. RVP standards are higher during the winter, winter-grade fuel uses more butane…as an additive. Butane is inexpensive and plentiful, contributing to lower prices. Summer-grade fuel might still use butane, but in lower quantities. The average price in Barrie Thursday morning was around $1.23/litre. The price generally falls a few cents-per-litre during the day – something McTeague calls ‘gas bar shenanigans”. Prices in Vancouver are around $1.65-per-litre. Why? McTeague told the National Post the Lower Mainland and Vancouver Island is the only region in Canada reliant on outside sources for a lot of its fuel needs. As much as 25 per cent of the fuel market there is supplied by the U.S.
A Maritimer can gas up their car without a single American getting involved: A Norwegian oil tanker pulls up to Saint John and the massive Irving Oil refinery turns it into fuel. But Vancouver is directly bidding with Seattle for its gas, and feels the day-to-day pinch of the exchange rate. What really hurts, says McTeague, is Vancouverites can drive across the border into Washington State and fill-up for around $1-per-litre (CDN). A lower tax rate on gasoline the main reason for that. Remember, a third of the Canadian gas price is taxes…and that’s before the provinces dip their siphons into your tank for provincial sales taxes, transit levies and, in some cases, carbon taxes.